Our new lunch eating area is fantastic. 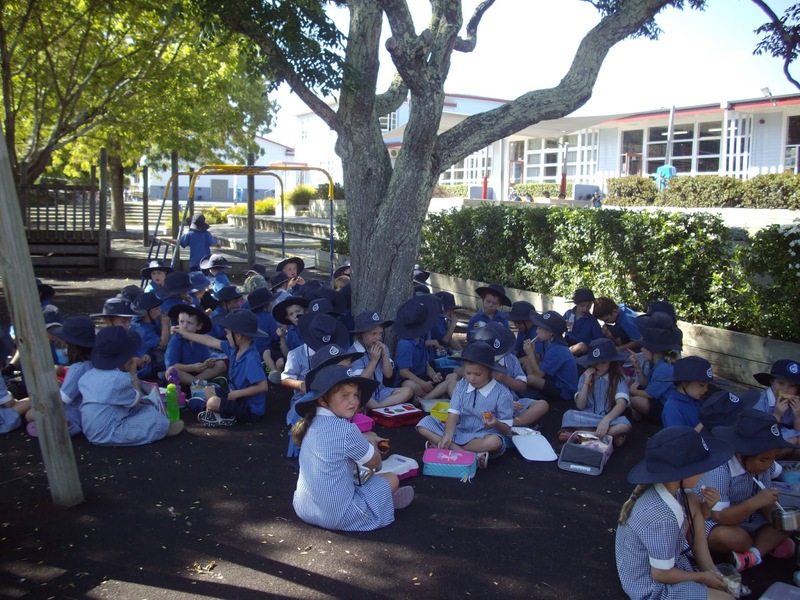 The junior children are seated in the shade with their friends. We have a Te Kakano staff member on duty with them, which is reassuring for the new children as they are familiar faces. It is also giving them more time to eat their morning tea and lunch. We have had positive comments from parents about the children eating more of their food. Congratulations to parents for providing some delicious and nourishing lunches. Your children are lucky to have such healthy rolls, sandwiches, wraps, savories, fruit and vegetables.